Hope your New Year’s Eve is exciting, and your 2019 is the best year ever. Sasha is nearly ready for adoption—she’s one of the first dolls I am looking forward to releasing in the New Year. It’s that time of year when you reflect on accomplishments for the year past and set goals for the coming year. 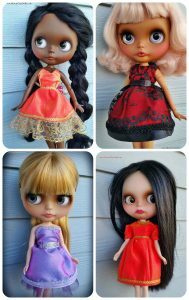 Each year for the last three years, I’d set a goal of experimenting with different types of dolls beyond Blythe. This year I finally did that! 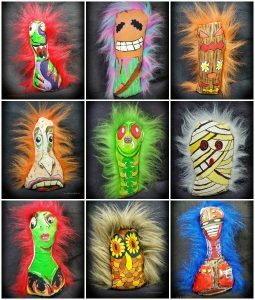 I really enjoyed exploring new ideas, and collaborating with my husband on the carnival punks. 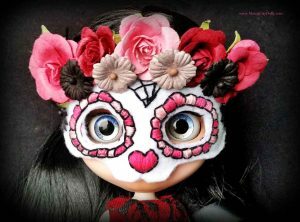 In 2019 I plan to be more focused on Blythe again as I prepare to be a vendor for the first time at Blythecon, but I definitely will continue experimenting with other art doll ideas. 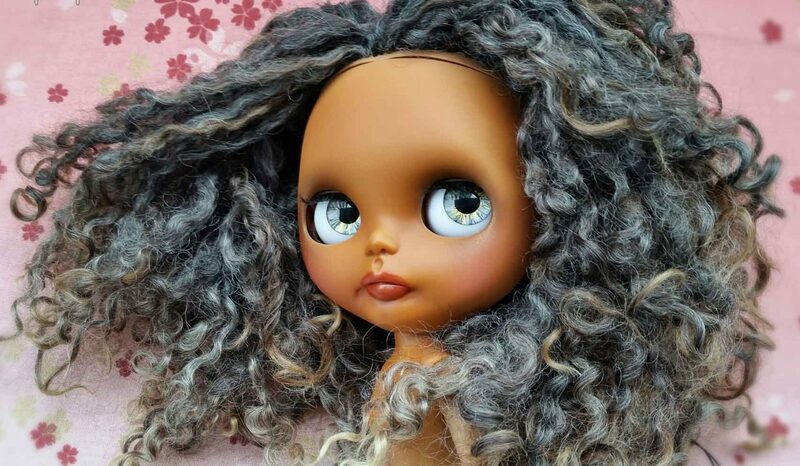 Why are Blythe Dolls with Reroots so Expensive? 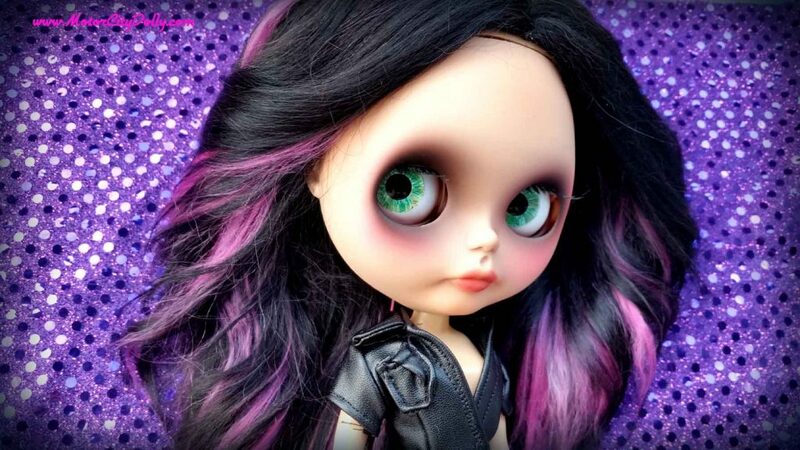 Custom Blythe doll prices vary based on many different factors. Reroots made with Alpaca, Mohair, Wensleydale and other natural fibers can add significantly to the cost of a doll. All of this can be really confusing to a newer collector, so I thought I’d try to demystify the factors behind the cost of a reroot. In this video I walk through the steps of doing a reroot, and discuss the time and expense involved. I’ve listed a small batch of party dresses in the shop! We’ve got our Raspberry Berets on! 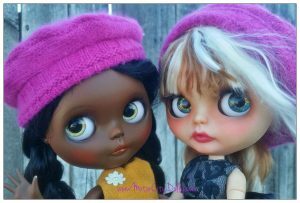 Zara and Hilde have got their raspberry berets on and are super excited for Blythecon Minneapolis tickets to go on sale tomorrow! I’m stoked to be chosen as a vendor and hope to meet all of my dolly friends in person in Minneapolis! 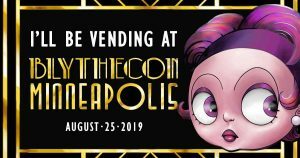 I’m super excited to have been chosen as a vendor for Blythecon Minneapolis in 2019! Tickets go on sale November 17; visit the official web site for all the details! Nine more punks are up for grabs in the shop! Some of them are looking pretty Halloweeny too! Grab yours here! I’ve been having so much fun sculpting these little Halloween dolls. 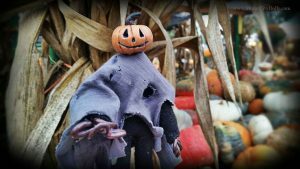 I can’t decide if this Pumpkin Man is more creepy or cute….you can take him home and decide for your self! 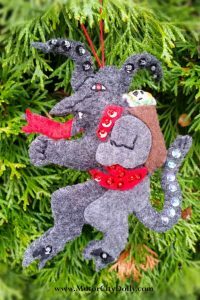 He’s available for adoption in the shop.